From the moment J. D. Salinger published The Catcher in the Rye in 1951, he was stalked by besotted fans, would-be biographers, and pushy journalists. 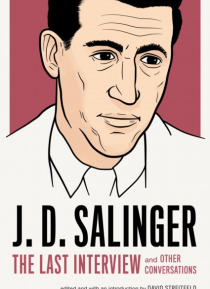 In this collection of rare and revealing encounters with the elusive literary giant, Salinger discussessometimes willingly, sometimes grudginglywhat that onslaught was like, the autobiographical origins of his art, and his advice to writers. Includi… ng his final, surprising interview, and with an insightful introduction by New York Times journalist David Streitfeld, these enlightening, provocative, and even amusing conversations reveal a writer fiercely resistant to the spotlight but powerless to escape its glare.